I’m a doctoral Student, a Swiss Government Excellence Scholarship holder at the Institute of Earth Sciences of the University of Lausanne. 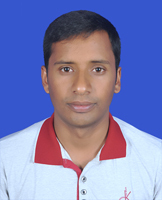 I recently completed Masters degree in Exploration Geophysics at IPGP, followed by an internship at ENS, France. I am working on a project ‘Seismo-at-School in Nepal‘ under the supervision of György Hetényi. Nepal lies in the heart of the most active continental seismic zone, the Himalaya and is one of the countries on Earth with the highest seismic risk. Due to the collision of India and Eurasia, Nepal has experienced devastating earthquakes throughout history, claiming lives and causing significant damage. The latest 2015 Gorkha earthquake killed nearly 9,000 people and injured nearly 22,000. It was the worst natural disaster to strike Nepal since the 1934 earthquake. Furthermore, there is a segment which is identified as ‘seismic gap,’ where the last known great earthquake occurred in 1505, and recently scientists from the world argued that the energy is accumulated in that region which is sufficient to produce a great earthquake at any time in future. The purpose of my Ph.D. project is to evaluate the feasibility by locally testing a bottom-up approach of seismology in schools. With special lectures to students, and by installing low-cost seismometers in schools, we hope to enhance awareness and preparedness of the people, and at the same time collect useful local shaking data. S. Subedi, G. Hetényi, A. Sauron and P. Denton. Seismology-at-School in Nepal: a first regional educational and seismic network, 100th American Geophysical Union Fall Meeting, poster presentation, (Washington – D.C.), USA, December 14, 2018. S. Subedi, G. Hetényi, A. Sauron. The “Seismology-at-school in Nepal” project, 33rd HKT workshop, oral session, (Lausanne) Switzerland, September 11, 2018. S. Subedi, G. Hetényi, A. Sauron. Low-cost seismic network in Nepal, International Workshop on Gorkha Workshop Memorial day, oral session, (Kathmandu), Nepal, April 27, 2018. S. Subedi, G. Hetényi, A. Sauron. Low-cost seismic network in Nepali School, EGU 2018 General Assembly, PICO session, (Vienna) Austria, April 11, 2018. S. Subedi, G. Hetényi, A. Sauron. Seismology-at-School in Nepal, Education and Citizen Seismology Discussion Workshop, Short presentation, (London) United Kingdom, February 15-16, 2018. S. Subedi, G. Hetényi, A. Sauron. Seismo-at-School in Nepal, 2nd National Conference of The Community for Science Education, Presentation session, (Bucharest) Romania, November 4, 2017.